At the Parliamentary elections in 2013, voters in Bulgaria will not have the right to rearrange party lists of MP candidates. The decision was voted Wednesday in Parliament, with a total of 96 MPs in attendance, of whom 72 voted for, 17 against and 7 abstained, according to reports of mediapool.bg. Only 67 MPs of center-right ruling party GERB voted on the proposed change in the electoral system, while the other MPs of GERB did not attend the sitting. However, a large number of MPs of the right-wing and the left-wing opposition, who had declared they wanted the preferential voting element to remain, also failed to show up for the sitting. According to mediapool.bg, if more opposition MPs had attended Wednesday's Parliamentary sitting, they could have overturned the feeble vote of GERB. Two years ago, when Bulgaria's Parliament adopted the Election Code, the MPs approved the proportional representation system with an element of preferential voting. The system allows a candidate who received 9 preferences, to automatically head the party list. This gives the citizens the right to be represented by the MP candidates of their preference. Bulgaria's current Election Code envisages using separate ballot papers for each party at the parliamentary elections. Under the approved amendments, there will be a single integral ballot paper. The provisions have not been conclusively voted in a plenary session. Bulgaria's Parliament has so far adopted the change in the election system and the abolition of the preferential voting element. 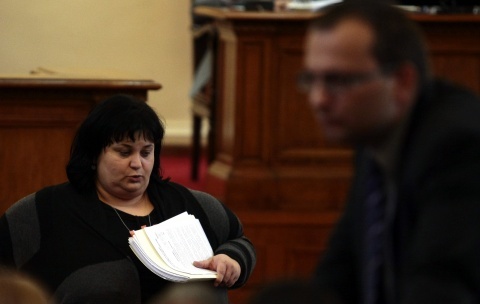 Right after the controversial parliamentary sitting on Wednesday, Iskra Fidosova, MP of GERB and Chair of the Parliamentary Legal Affairs Committee, told journalists that her colleagues from GERB had failed to attend the vote but had endorsed the move in advance, placing their signatures in the presence of the Legal Committee. According to experts, however, the acknowledgement that the signatures of GERB MPs were given in advance constitutes a breach of the Parliament's rules of procedure. Asked whether important provisions of the Election Code were being amended against the law, Parliament Chair Tsetska Tsacheva refused to comment.